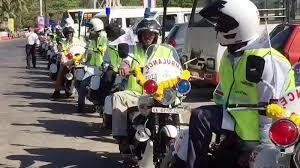 Goa Chief Minister Manohar Parrikar has launched 20 Bike Ambulance on Thursday. This two wheeler ambulance would be reached for care with basic life-saving equipment additional with two oxygen cylinders to serve as rapid service at places where four-wheeler ambulances cannot reach rapidly. They are fitted with all equipment required to indulge a patient at a time. 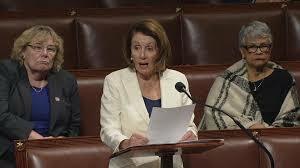 Nancy Pelosi, the minority leader in the US House of Representatives has made a record by speech demanding a vote on an immigration bill to give protection to ‘Dreamers’, the immigrants who were brought illegally to the US as children 8-hour-long. She has 77-year-old Democratic leader.